Buy Big Blue when its RED! Last year, IBM spent $14 billion on buybacks, including $6 billion in Q4 alone. 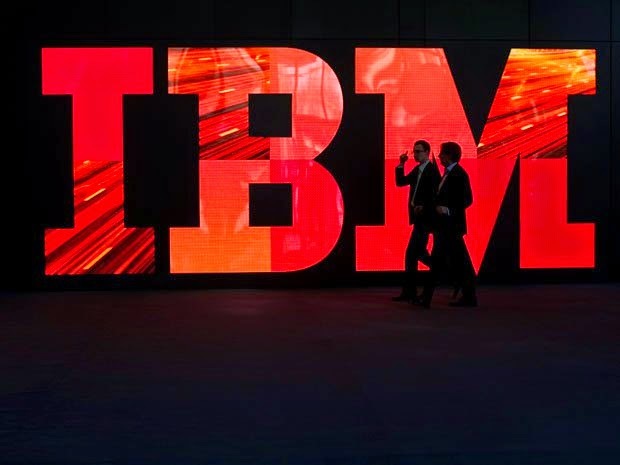 In 2013 IBM increased their debt by $6 billion, and cup capex by $500 million. This morning, IBM announced punk earnings, and they sold their $500 million losing per year microelectronics business, PAYING them $1.5 billion to take it off their hands. So the market is punishing IBM's creative financing, non-growth, by knocking the stock down $15 dollars to 167. So the creeping LBO of IBM continues..That being said, you can buy the stock here at 165.50. Because the market needs to take a stand on all the creative financing by corporate America, because Lord knows its easier to buy back stock than actually grow sales! Because that's Wall Street's version of "smart.' Financial engineering!